Kimball Gallagher is a classical pianist from New York. He has risen to prominence as one of the most dynamic and multifaceted pianists on the stage today. Gallagher’s sold out 2008 debut at Carnegie Hall launched his international 88-Concert Tour, blazing a trail across all 7 continents appearing in 30 countries, while performing in distinguished venues and intimate gatherings all over the world, from the Kennedy Center to Kabul, Bombay to Boulder, Chicago to Shanghai, and Tuscany to Tunisia. The 88 Concert Tour concluded with another sold-out recital by Gallagher at Zankel Hall at Carnegie Hall on April 13, 2015, in New York City. With this culmination, he has launched 88 International an organization based in New York which initiates and supports transformative music programs for the youth, including the Myanmar Music Festival and JSMC. The number 88 alludes to the 88 keys of the piano. His upcoming recordings, soon to be released, include the Complete Etudes of Chopin, Mussorgsky's Pictures at an Exhibition, and a CD dedicated to Liszt and his epic Sonata in Bb. Gallagher has also recorded 88 of his own preludes he composed during his 88 Concert Tour as well as a CD for solo piano with contemporary pieces composed by young Tunisian composers. He also has another CD with commissioned pieces integrating piano to Indian classical music. 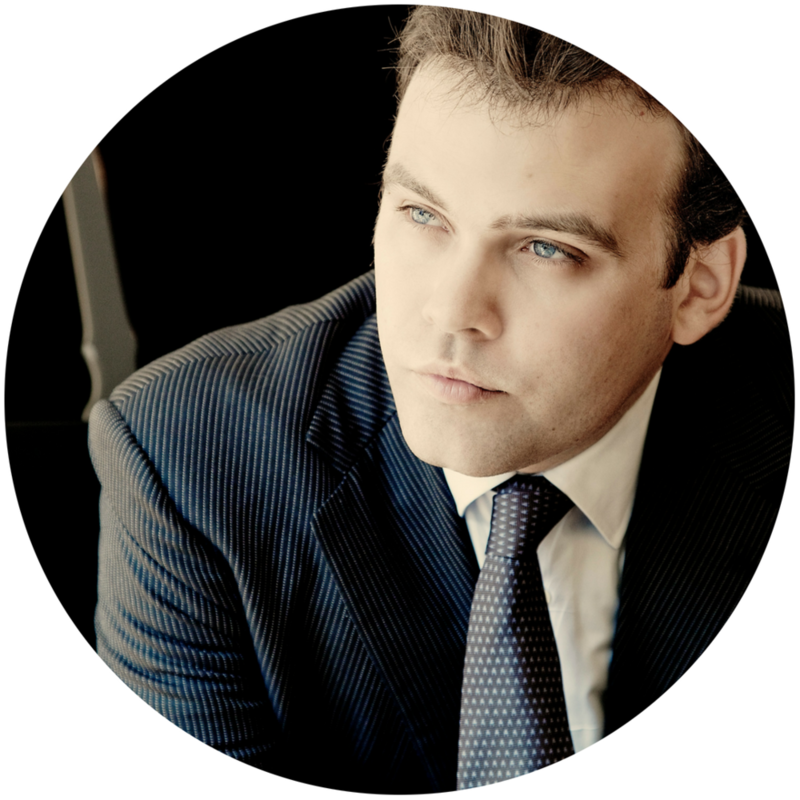 A native of Boston, Kimball holds a bachelor degree in piano performance from Rice University where he studied at the studio of Jeanne Kierman-Fischer, and a masters degree from the Juilliard School where he studied with Robert McDonald. His lifelong mentor, pianist Joseph Smith, is one of the most important influences in his musical aesthetics. A resident of New York City, he likes to compose, write, cook, explore new musical genres and of course travel. Priscilla Dantas is a Brazilian concert pianist and music teacher. A graduate of the University of Oregon, USA, she spent her early years taking piano lessons at CEMO School of Music in Brazil. At 14 years old, Priscilla debuted as a soloist with Recife’s Symphonic Orchestra performing Mozart’s Piano Concerto No. 13 in C Major. A year later, she gave her first solo tour in the United States and continued to give recitals in the US for the next four years. Priscilla also has a number of recordings from her live performances and studio recording from CPM gravações by CPM, Recife Conservatory of Music, including Mozart’s A minor Piano Sonata No. 8 and Scriabin’s Prelude Opus. 13, No. 2. Throughout her career, Priscilla has participated in several music festivals in Brazil and USA such as Liszt/Mendelssohn, Schumann/Chopin and Oregon Coast Music Festival, where she received a standing ovation for her performance of Chopin’s Ballade No. 1. Priscilla has performed in numerous masterclasses for pianists such as Boris Berman and Luiz de Moura Castro. She has also been covered by numerous news channels in Brazil and USA, including "Jornal Nacional," Brazil's most-watched nightly news, and has been described as "a promising pianist" by Register Guard, Oregon's newspaper. As a student at the University of Oregon, she was the first underclassman to perform at the American Liszt Society Festival and the youngest performer at the Prokofiev Festival, playing Prokofiev’s Piano Sonata No. 3. Besides having a solo career, Priscilla has a great passion for teaching music. Priscilla’s teaching goal and philosophy are to inspire students to become lifelong music lovers and to encourage social engagement and understanding through music. Thet Su Oo started her violin lessons in 1998 with U Tin Yee, renown for his practice of traditional music and the understanding of the international music in Myanmar. During her study with U Tin Yee, she earned her bachelor degree, B.A (Eng) from the University of Distance Education Yangon. In 2002, she joined the MRTV Orchestra for a year. Then in 2003, she was selected as a participant from Myanmar by the 1st SAYOWE audition (Southeast Asia Youth Orchestra and Wind Ensemble). She was also a participant in SAYOWE: Southeast Asia Youth Orchestra and Wind Ensemble (2004) and SAYOWE: Southeast Asia Youth Orchestra and Wind Ensemble (2005). In 2004, she received a full scholarship from the College of Music, Mahidol University, Thailand. She earned her master degree; M.A (Music) specializing in Music Education in 2008. She has been teaching at Gitameit Community Music Center since her return home in 2008 and has also taught extensively as a violin teacher at SILC (Summit International Learning Center), MIS (Myanmar International School) and ISY (International School Yangon). She is also a regular member of Scarlet Quartet and Trio at Gitameit and Gitameit String Ensemble. Thet Su Oo has also studied with Natalie Ming-I Tsai in Taiwan. She visited the violin making school and the Qinai village from where the donated 21 violins come. She now teaches Khayay students violin ensemble classes during regular schooling hours and aspires to take them to Taiwan and perform with the students from the violin village in the near future. 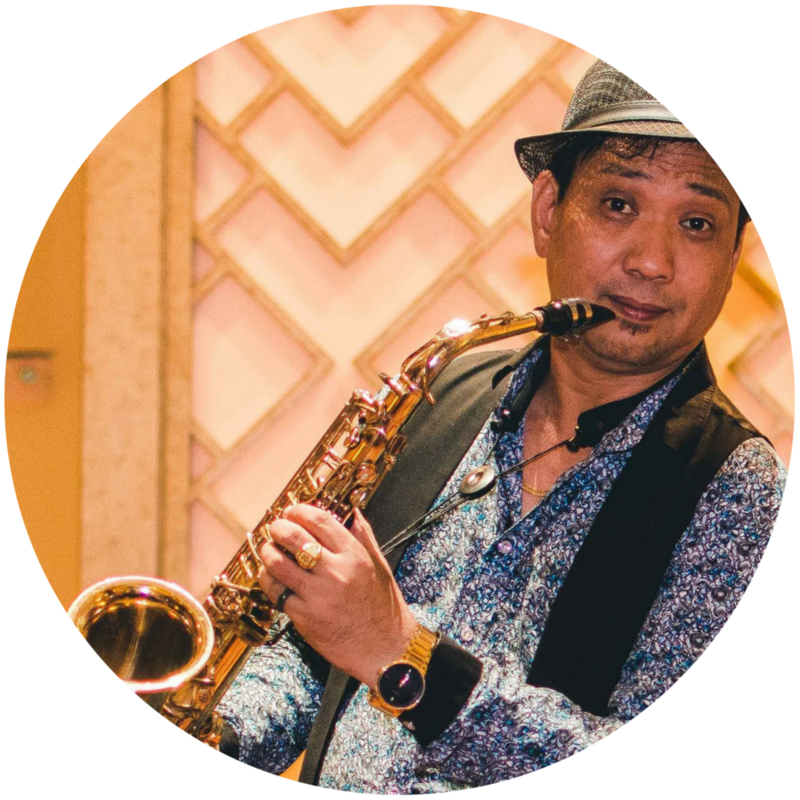 A multi-talented artist, Gilbert Batallones plays the saxophone, guitar, bass guitar, cajón, and drums. A native from the Philippines, he has extensive experience performing in Asia including performances in Japan, China, Malaysia, Hong Kong, Bangladesh, Cambodia and Myanmar. He has also performed for two years on a cruise ship running between Okinawa, Japan and Taiwan. Trained in jazz and pop music as well as music production he is a member of the Philippines Composers Association (PhilCom). A positive and energetic teacher, he aspires to share the joy and love of music to his students and support them to become confident performers. Maria Cachapero is a graduate of the Cultural Center of the Philippines, Manila in voice. She has extensively performed with live bands and orchestras since her college years and has toured across the Philippines, as well as Singapore, China, Malaysia, India, and Myanmar. A certified primary school teacher, she is currently a classroom teacher at the Khayay School and also teaches elementary choir. As a voice coach, she would like to instill confidence in her students with their voice and singing.